As we experience great shifts in ways of living, migratory flows and climate, practices of “sharing terrain” become vital spaces for activating histories and narratives; forging futures and creating new models for existing and thriving in the space/s in-between. NEST will look backwards, forwards and inwards to ask how we move, think and create in states of liquidity. What are the models (both historical and current) for embracing the liminal spaces we already inhabit and transforming them into shared terrains for the experience of new, communal knowledges? Over the coming three years, NEST will partner with organizations addressing these questions from various perspectives in order to create a vital, interdisciplinary research network on the condition and practice of sharing terrain. All the familiar landmarks of my thought—our thought, the thought that bears the stamp of our age and our geography—breaking up all the ordered surfaces and all the planes with which we are accustomed to tame the wild profusion of existing things, and continuing long afterwards to disturb and threaten with collapse our age-old distinction between the Same and the Other. NEST begins its investigations into existing practices and modes of sharing terrain by constructing an experimental encyclopaedia from which collaborations, actions, encounters and new research will grow. As we reflect on how categorizations, orders and definitions often serve to prevent or impede our inclination to share terrain, NEST will take the encyclopaedia form as a challenge to re-imagine (dis)orders, liquidize categories and generally “break up all the ordered surfaces and all the planes”. 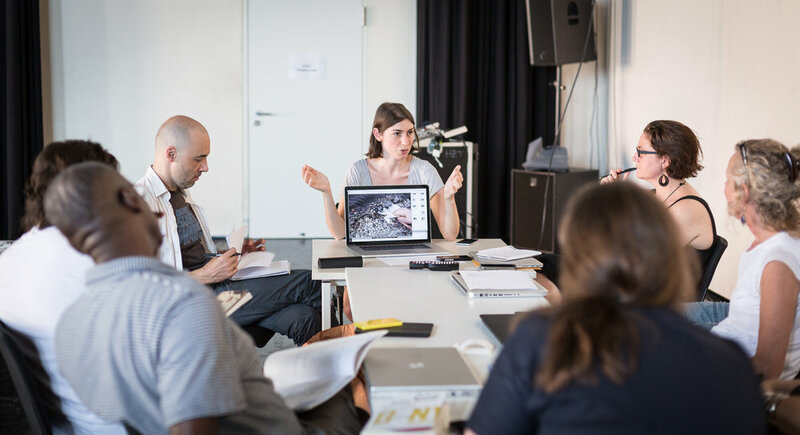 Symposium "On limits, borders, edges and boundaries"
NEST will share terrain with the third Transart Triennale beginning in 2019. See 2016-19 Transart Triennale here.